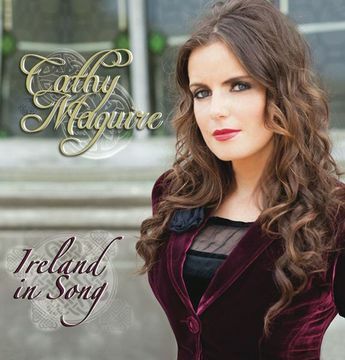 Join Cathy Maguire, Gabriel Donohue, and special guests for the official launch of ‘Ireland in Song’, TV Show and Album. Compère for the night will be none other than Donie Carroll! ‘Ireland in Song’, the live show takes the most famous Irish songs and explores the history and stories behind these iconic pieces. Come celebrate with us at the New York Irish Center on what will be a great night of music, songs and stories!!! If any of you were lucky enough to be at the Center earlier this year for Donie’s show or at the recent Guggenheim Grotto gig, you’ll know that not only is Cathy a wonderful singer/songwriter, gifted with a beautiful voice but that Gabriel Donohue is a superb addition to the bill. Cocktail hour from 7.30pm, showtime 8.30pm.